Poetry. The augurs of ancient Rome were charged with studying natural phenomena, like the flight habits of birds, in order to look for propitious or unfavorable omens. 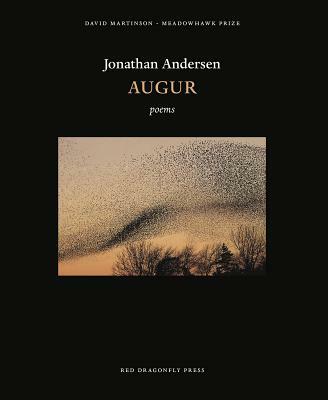 The poems in AUGUR are attempts, in prescribed and open forms, to "decode" the signs of a world in the midst of tremendous and often bewildering upheaval. Written from the interlocking perspectives of father, husband, son, brother, educator, and citizen, the poetry in AUGUR seeks to engage life with clarity. Many of the poems are charged with the energies of the natural world, including the patterns of bird flight the augurs once looked to, not as an escape, but as a source of information and insight. Ultimately, we must inscribe the signs with meaning and reject the small priesthoods and corrupt officials who claim all vision (and power).